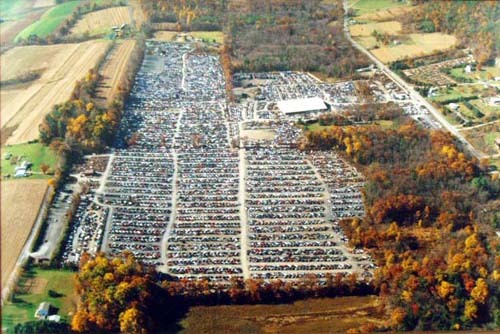 We have over 10,000 cars & trucks in our self-service lot! You can also find thousands of lawnmower, garden tractor, motorcycle, snowmobile, and other small engine parts for sale. No parts are inventoried: you'll have to come in to see what we have! Bring your tools and pull it yourself! All parts are sold AS-IS with no warranty and all sales are FINAL. There are no returns, exchanges, or credits. For safety, EZ Auto Pull & Save Auto Parts will remove gas tanks and windshields. Please do not bring jacks to the yard, and keep away from the fence. Call ahead in case of snow or sleet. Closed New Year's Day, Easter, Memorial Day, Independence Day, Labor Day, Thanksgiving, and Christmas.